According to different corrosion warranties, only the regional mandatory joining methods are allowed. Remove the rear side door. Refer to Rear Side Door Replacement. 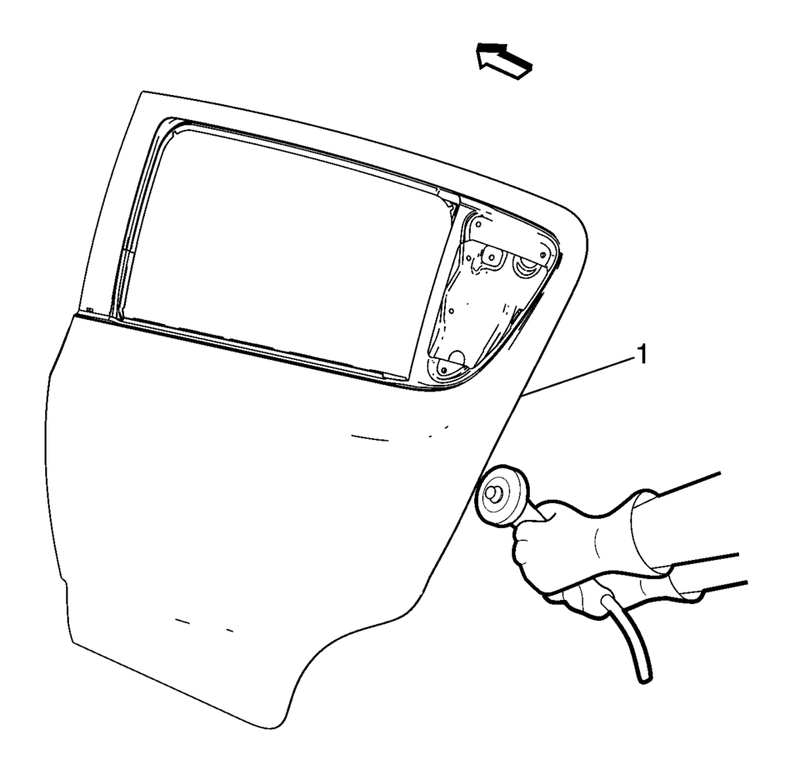 Remove the rear side door outside handle. 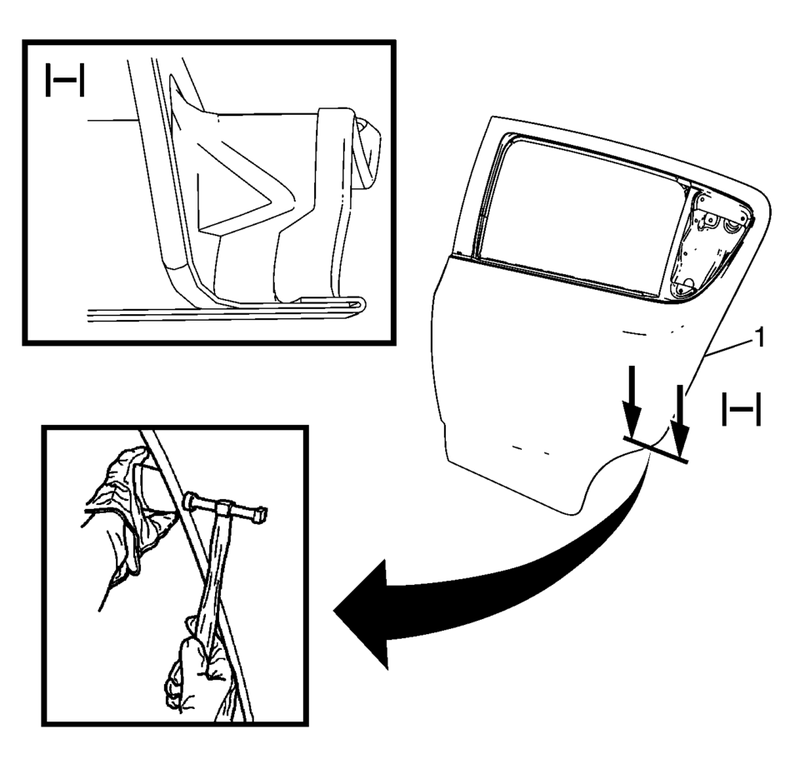 Refer to Rear Side Door Outside Handle Replacement. Remove the sealers and anti-corrosion materials from the repair area, as necessary. Refer to Anti-Corrosion Treatment and Repair. Grind the edges of the rear side door outer panel (1) to separate the outer door panel from the door shell. Inspection of the door guard beam for damage must be performed before replacement of the door outer panel. If damage to the door guard beam is found the door must be replaced. Failure to do so may compromise the structural integrity of the vehicle and may cause personal injury if the vehicle is involved in a collision. Remove the rear side door outer door panel (1). Straighten the edges of the door shell. Align the rear side door outer panel. 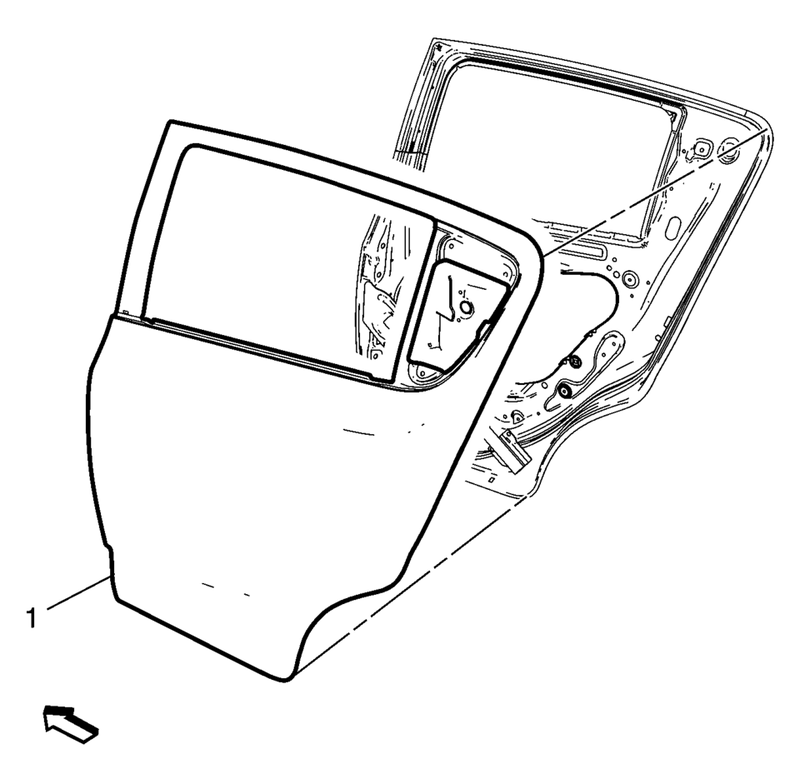 Verify the fit of the rear side door outer panel. Clamp the rear side door outer panel (1) into position. Continue to hammer in stages along the hem flanges (1). Install the rear side door outside handle. Refer to Rear Side Door Outside Handle Replacement. Install the rear side door. Refer to Rear Side Door Replacement.